The RPG that SHOULD have been here, Secret of Mana 2/3(3 If you account for the first one made for the Gameboy) just did not make it here. Squares excellence in Super NES Programming shows, with graphical touches EVERYWHERE. 6 BEGINNINGS! Each beginning had a different plat, but was centralized in the end. Any gamer worth his or her weight in 5 1/4 inch floppies has heard of the Ultima series of role-playing games. 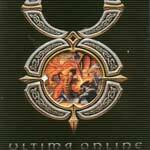 Before the AD&D Gold Box series, before the Build engine, and yes, even before the X-Com trilogy, there existed Ultima. 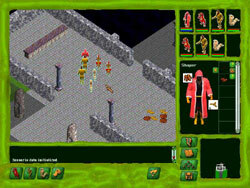 Geneforge, from Spiderweb Software, is a PC role-playing game that harkens back to the older days of software games. The graphical elements are somewhat simplistic, trying to capture a three-dimensional feel with only two real dimensions. The combat is turn based, depending on movement steps ­ which can be your undoing ­ but the guiding force to this game is choice. 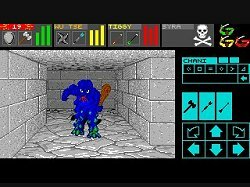 Legends of Might & Magic ScreenshotRemember the classic first-person dungeon adventures? Sporting crude EGA graphics, these titles had players fighting pixilated monsters while traveling down long, boxy corridors, and helped lead to the rise of the Wolfensteins, Dooms, and Quakes. While first-person shooters have continued to evolve along their own paths, role-playing games such as Might and Magic have typically steered clear of the Internet deathmatch realm until fairly recently. Now, 3DO and New World Computing are jumping aboard the multiplayer bandwagon with the latest team-based first-person action title, Legends of Might and Magic.